Hello lovelies! Sorry for the radio silence yesterday. I was defending my PhD...which is one of the most stressful experiences I've ever had! Luckily it went well! I'm here with another "worth the hype?" post for you guys. 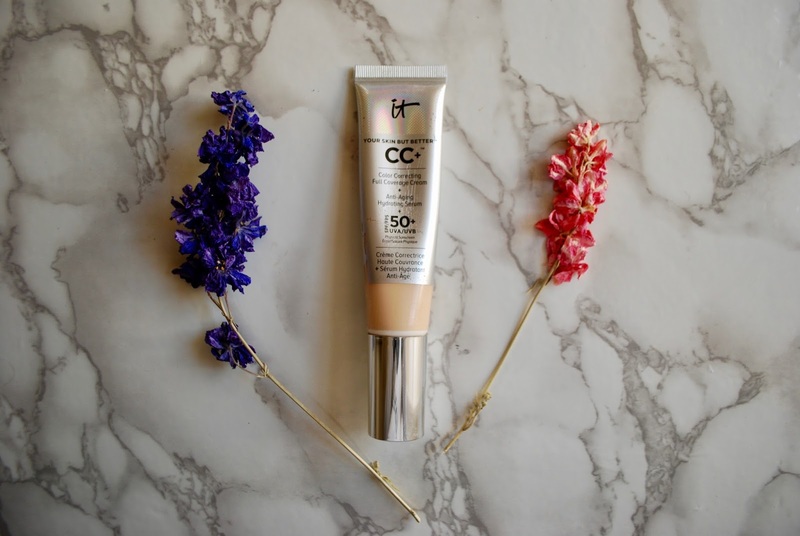 This time, it's a blogger favourite: the IT Cosmetics Your Skin But Better CC+ Cream. I was totally drawn in by the claims of this CC cream. 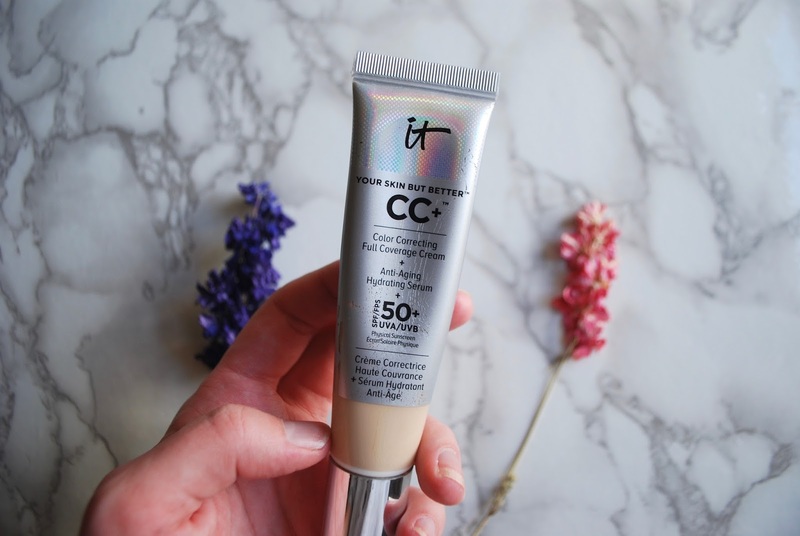 It promises to colour correct (something I, as a rosacea sufferer, look for in a product), to look skin-like when applied, and to have pretty full coverage. The Anna Edit raves about this product, which, not gonna lie, made me want to buy it since she also loves a natural, glowy base. It's also supposed to be quite moisturising and good for dry/dehydrated skin. As you can tell from these pictures, the tube is pretty beaten up. I've been testing this for three months. FYI, I use the shade "Fair". It performs differently depending on how you apply it. 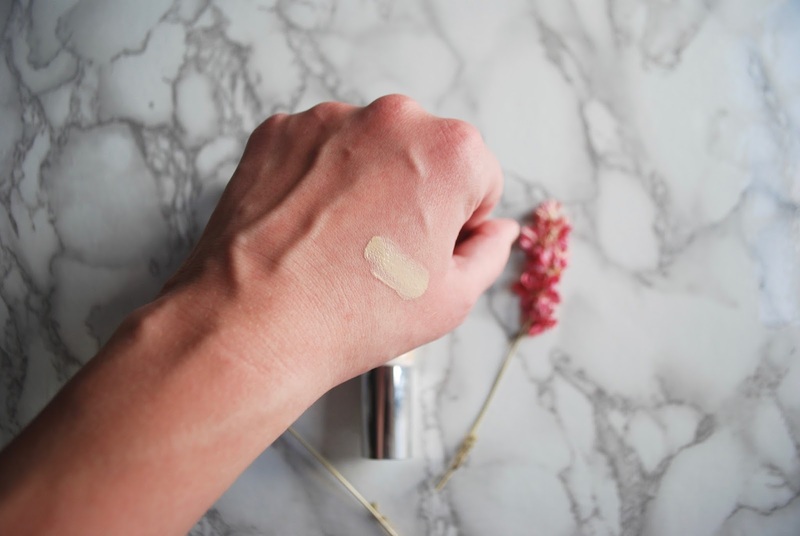 For the most natural look, but the least amount of coverage, I apply it using my hands as I would a moisturiser--spreading and massaging it all over my face. This evens out the skin tone and provides a bit of a glow. If you apply with a brush or a beauty blender, you get much fuller coverage. The downside is that it looks much more "makeup-y". It's still not cakey by any means, but it does give the skin a sort of "wet look" that doesn't really mimic natural skin texture. The wet look does dry down a bit though, although you're still left with a serious glow. I was a bit disappointed with the coverage. The IT Cosmetics founder has rosacea, so I had hoped this would cover mine fully. It still lets my red cheeks shine through, which is a bit frustrating. But if you don't have rosacea, I think this would be a great amount of coverage without looking heavy. How does it wear throughout the day? It's definitely a long-lasting formula, so you don't have to worry too much about any touch-ups. However, after a few hours of wear, I notice that it looks a bit crumbly and oxidised on dry patches on my skin and around my jaw line. Since this is supposed to be super moisturising, this is kind of a let down. What's the verdict? Is it worth the hype? Honestly, I don't think I will be repurchasing this because of the drying/oxidising issue. If it doesn't wear well throughout the day, it's not worth the hype for me. You need a foundation you can count on to look good all day. SO appreciate the honesty in your reviews. I was all set to run out and buy this.